Castell Coch is a fairytale castle sat on a hillside looking over Cardiff and the River Taff. The Castle was originally built in the 13th century and rebuilt in 1875. The new Cadw Monuments Pass allows unlimited access to any one of Cadw’s monuments for just £6 per person and allows you to visit your favourite site as often as you like over a three-year period. 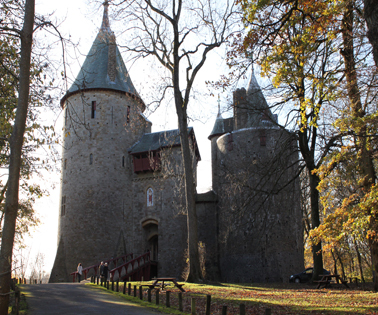 Local resident Pass holders can exchange their existing pass for a new monument pass at Castell Coch free of charge. Entry is only valid with photo ID by the Pass Holder only. Cards are not valid on event days. Passes are available to all individuals 5 years old and above (entry is free to Cadw sites for children up to their 5th birthday). You do not need to be a resident of Tongwynlais to apply for a Castell Coch Monuments pass.